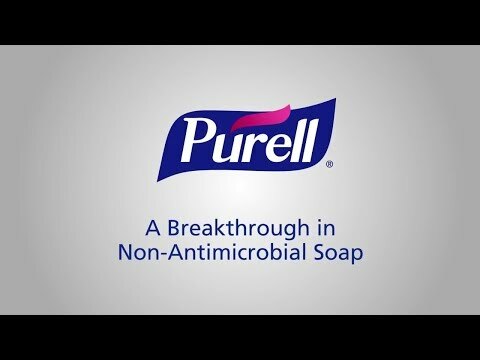 High performance foam soap 1200 mL refill for Purell[R] ES8 touch-free soap dispensers. Formulated for dry, sensitive skin and frequently washed hands. Remarkably mild healthcare formulation removes over 99% of dirt and germs without antibacterial ingredients or harsh preservatives. Clean release™ technology reaches into skin's cracks and crevices 2X better than regular soap to remove dirt and germs. Free of harsh preservatives, antibacterials, parabens, phthalates, fragrance and dye. Rinses fast and clean for easy gloving. Meets USDA certified biobased standard, made with 90% biobased content. Meets UL EcoLogo® hand cleaner standard UL 2784. "energy-on-the-refill" technology, every refill has a built-in energy source, desgined to last as long as the refill.